Do you have a project on the horizon that is going to require you to do a great deal of construction? If this is the case, it would be wise to have a highly trained professional to oversee the entire project. This will help to ensure that nothing goes wrong and no mistakes are made. A contractor is a person who has received the necessary training in a variety of construction areas. He will be able to guide your project until it is completed. All of the construction workers who are involved in your project will take orders from the contractor. So how do you find one of these people. Here are a few tips for seeking out and hiring a contractor who will do a good job. 1. Does the contractor have a good background? You need to investigate the background of any contractor who you are seriously considering hiring. This is for your own protection. You need to see if this person has ever had any lawsuits filed against him. If so, you will need to find out what the lawsuits were concerning. Was he ever sued for negligence? You will also need to find out the outcomes of any lawsuits. There could be info that your contractor will not be very anxious to tell you. 2. When can the contractor get started? Contractors are often very busy people. This is why scheduling a job with a contractor is often not a very easy thing to do. 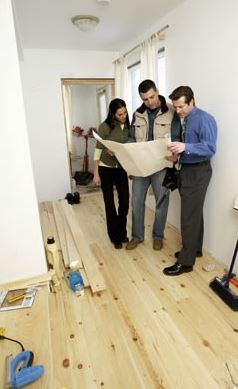 You will need to find out how soon each contractor you talk to will be able to start working on your project. Finding out when roofing contractors will be able to begin working is something that is very important if you have a deadline that you need to meet. 3. Does he have the proper insurance coverage? Is the contractor licensed with your state? Never hire an unlicensed contractor under any circumstances. Some people do this simply because they will be able to save a few bucks. However, this is a decision that will often come back to haunt you down the road. A contractor with a license has received the training needed to complete your project safely. It is also vital that he and his crew are all covered by insurance. This will pay for any damages that might happen to your property during the project.